A sample of Indonesian villagers describe their land tenure as strong and secure, a perception that appears to be at odds with reality, a study from the Center for International Forestry Research reports. BOGOR, Indonesia (29 May, 2013) – A sample of Indonesian villagers describe their land tenure as strong and secure, a perception that appears to be at odds with reality, a study from the Center for International Forestry Research (CIFOR) reports. In 2010, researchers from CIFOR interviewed residents of 20 villages in Sumatra and Kalimantan about whether they felt they had secure tenure over the land they used. “The households expressed strong conviction that their tenure is secure, but they are relying largely on customary rights and legally weak land documents,” said Daju Resosudarmo, lead author of the study, Does tenure security lead to REDD+ effectiveness? Reflections from Five Emerging Sites in Indonesia. “We found that, contrary to their perceptions, villagers’ forest tenure is actually fragile. They do not really have the ability to exclude outsiders from their land or to enforce rules at the village level,” she added. Land tenure in Indonesia is highly complex, stemming from the wealth associated with the country’s vast natural resources. One aspect of the complexity is the inconsistency between de jure or legal rights and customary claims or actual land use or management. “In all study sites, communities claim customary tenure and are de facto land managers,” Resosudarmo said. The study found that 97 percent of land plots controlled by households in 12 of the villages studied are actually de jure state land. Yet in most villages, at least 85 percent of plots were perceived as secure, even though the land managers relied on traditional, or adat, laws or legally weak land documents. The exceptions were mostly villagers that already had some experience of land grabbing or fraud and had learned the hard way that their tenure is insecure if they do not have legal land certificates. For example, residents of one study village in Kalimantan had discovered that the village head was falsifying land documents and selling their land to people from outside their village. Another discrepancy was found between villagers’ perceived and actual ability to exclude outsiders. For example, six of the 16 villages that claimed to have customary exclusion rights had rarely been able to exclude oil palm plantations, logging companies, residents of other villages, migrants, small-scale loggers or transmigrants. “In cases where villagers tried to exclude outsiders, they relied on customary rights and legally weak land documents that provide weak protection against outside encroachment,” said Stibniati Atmadja, a co-author of the study. Competing claims also arise among villagers. Due to their customary tenure arrangements, they turn to methods for settling land disputes, such as land-sharing arrangements, arguments and intimidation or even forging documents. Little surprise, then, that land conflicts are common in Indonesia. In the study villages alone, disputes occurred in 10 of the 17 villages that had unwanted outsiders. And villagers’ lack of understanding of the legal weakness of their rights leaves them vulnerable in the face of powerful actors, increasing land value and state-sanctioned programs or projects, including REDD+. “De facto tenure not supported by de jure tenure makes it easier for outsiders to intervene, impose upon and manipulate,” said Andini Desita Ekaputri, a co-author of the study. Knowledge of the formal legal system will not, by itself, give local land claims legitimacy—but it will allow villagers to be aware and make more informed land use decisions, she added. 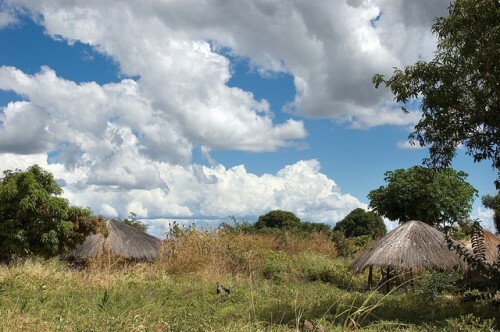 The unclear legal status of land tenure has serious implications for efforts to effectively implement REDD+, a global mechanism designed to mitigate climate change by reducing greenhouse gas emissions from deforestation and forest degradation. “Conflicts and instability associated with this delicate tenure situation will test the permanence of emissions reductions from REDD+ projects, and hence the effectiveness of REDD+ in reducing emissions,” Resosudarmo said. This work is part of CIFOR’s Global Comparative Study on REDD+ and was carried out as part of the CGIAR Research Program on Forests, Trees and Agroforestry. It is supported by AusAid, the UK Department for International Development (DFID) and the Norwegian Agency for Development Cooperation (NORAD). readers are unable to access the journal article from the link in the third paragraph… so it isn’ tmuch help for those who wish to learn more about this research.